This eclectic trio of visionary folk musicians uses their hunter-gatherer instincts to root out elements of vintage Americana and a world of other musical ingredients as they assemble an acoustic sound both soothing and exciting. 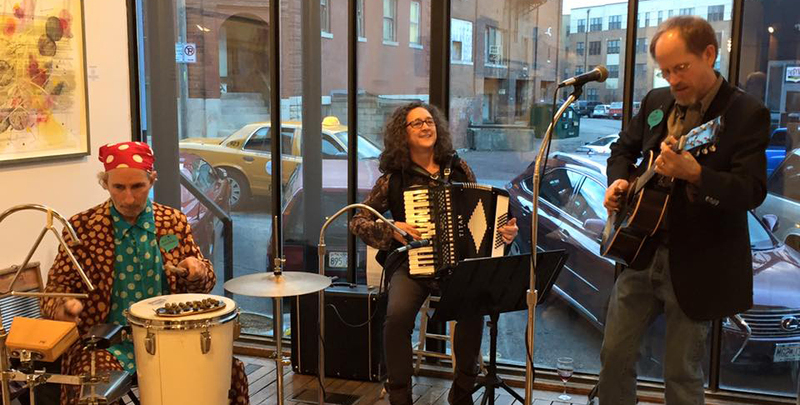 Finger style guitarist and singer Kelly Werts is joined by Diana Werts on accordion and Allan Winkler on a menagerie of percussion instruments. They apply their own sonic recipe to hits of old-time folk, French, Gospel, Klezmer, Surf, 60’s Rock, Country & Western, Blues, originals, and Psychedelic Elevator Music. 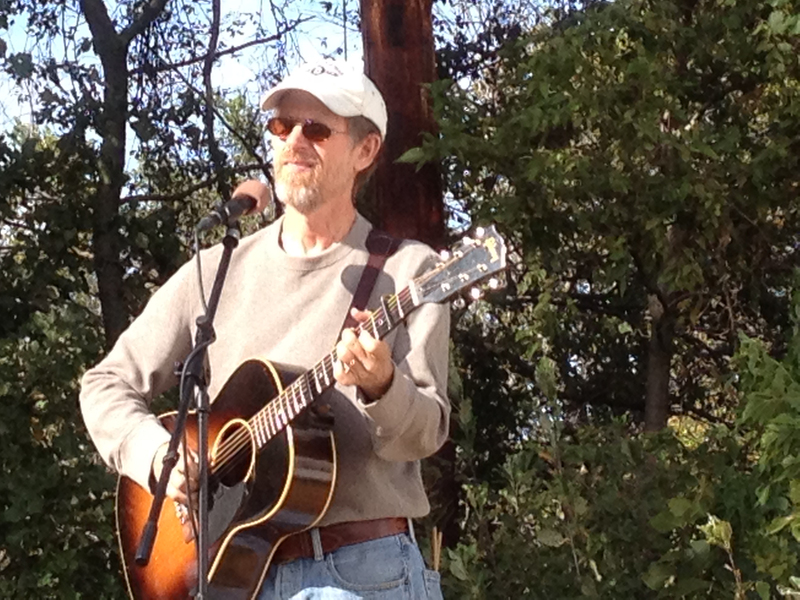 Guitarist and singer Kelly Werts is known for his prowess as a guitarist, singer and music gatherer. He has performed widely with Connie Dover, The Plaid Family, The Sons of Rayon, and in films and television. A two-time finalist in the Walnut Valley Festival National Finger Picking Championships, Kelly has spent years exploring every nook and cranny of his guitar. 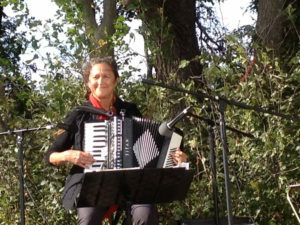 Diana Werts has played with Kelly for many years throughout Kansas and Missouri as a member of the Plaid Family and as a duo. Her graceful accordion style knows no boundaries, and she plays French, Scottish, Cajun and country-western with equal aplomb. The accordion becomes a small orchestra in her hands as she plays melodies, chords and bass lines with both hands. Allan Winkler’s percussion playing resembles his art, for which he is most well-known. 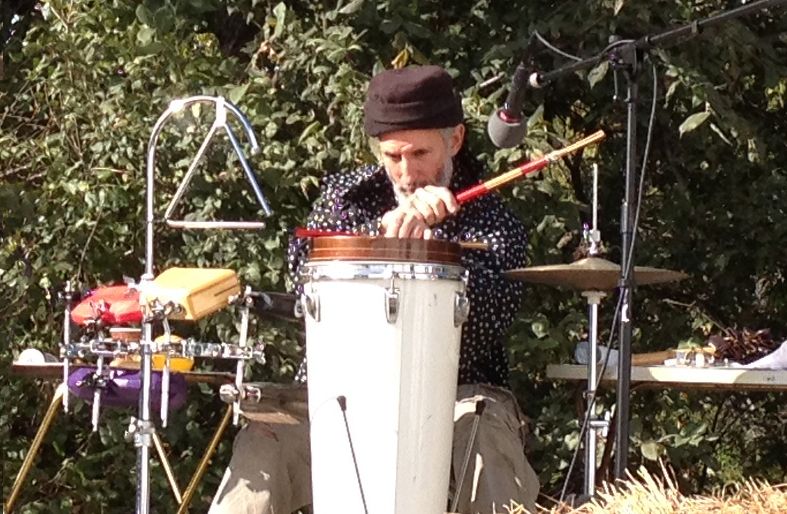 Allan has played in KC with BCR, Hearts of Darkness and Gamelan Genta Kasturi; his experiences also go back much further to San Francisco, where he worked with Gnat Music and Overtone Theatre, and Chicago, where he played in the original production of Grease. Return to Ensembles page.